This is such a beautiful dress, with such an incredible train. It is a dress made with such delicacy and purpose; a dress made to be worn and danced, hugged and laughed in. As such, I would just love for it (her, I think this dress is a her!) 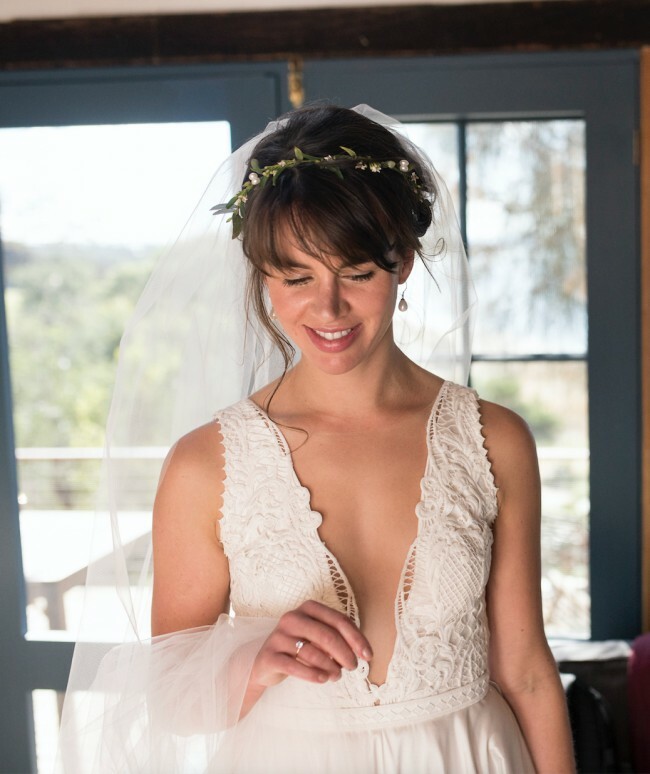 to have a second life with another bride, which is why I am making this listing. It would be so joyful to pass her on, so please! get in contact if you'd like to have a fitting. I've included pictures of the various features of the dress and would be happy to send you more if you'd like. For reference - I'm 172 centimeters tall and usually wear a size 10. it wasn't hemmed, instead I went for broke and wore 10cm heels (! ), but hemming it would be easy I imagine. The belt around the middle was moved to clasp in the center of the back, so the side zip was less visible, and two small, silk covered buttons were attached to complete the circle.